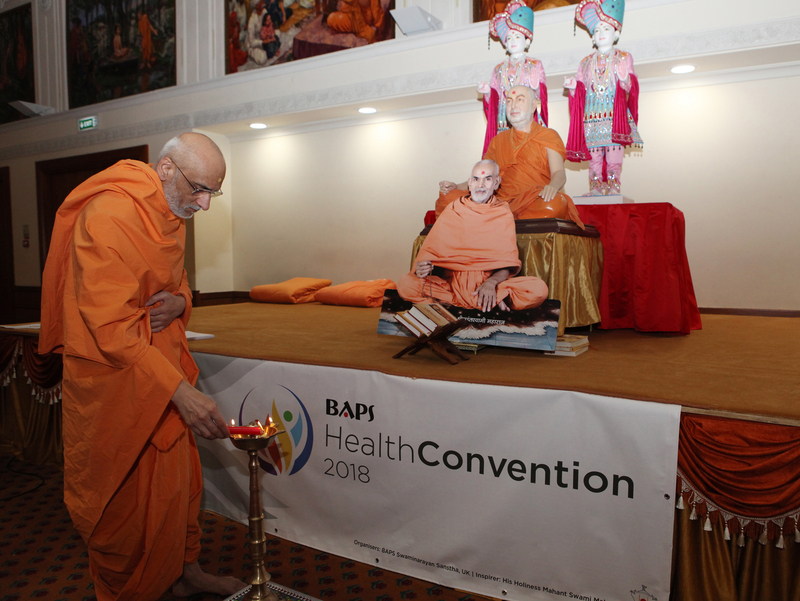 A health convention was organised at BAPS Shri Swaminarayan Mandir, London, for senior members of the fellowship. 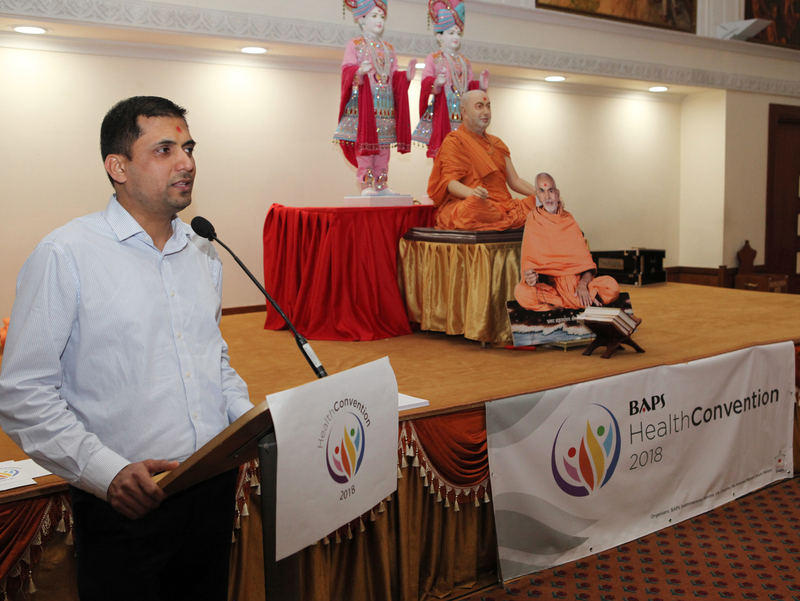 The event, attended by over 200 people, was in response to growing concerns about health and fitness amongst 40- to 55-year-olds, and provided valuable information and guidance for managing personal health, diet and fitness. 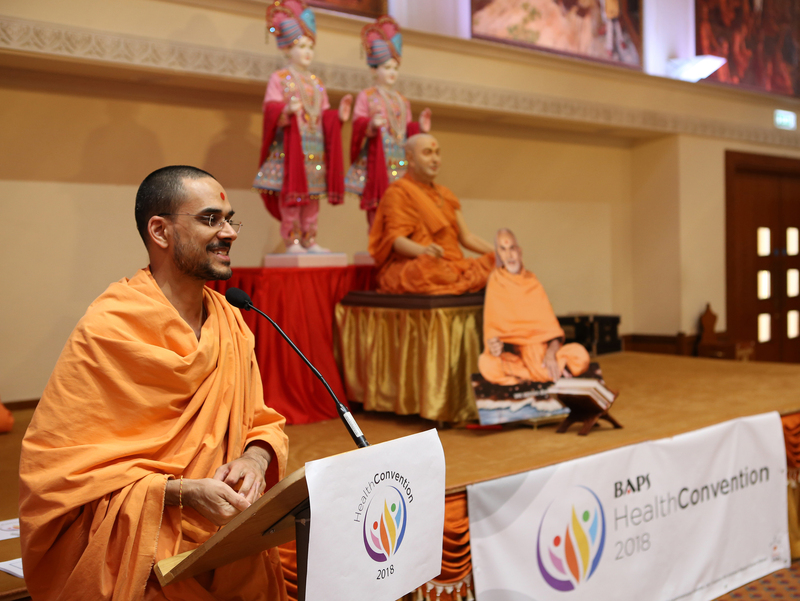 The day began with a welcome message from Yogvivek Swami who offered guidance and encouragement to the gathering. 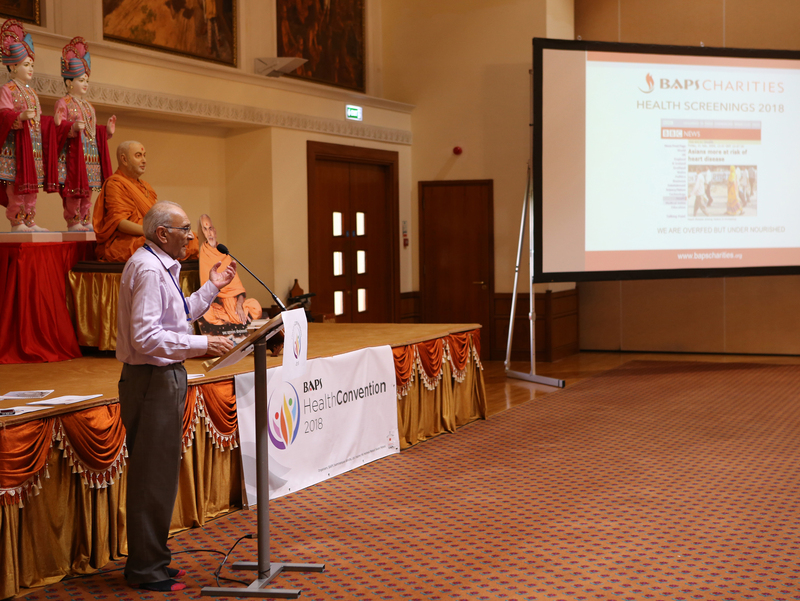 Thereafter, Dr Kalpesh Besherdas, Consultant Physician and Gastroenterologist at the Royal Free London NHS Foundation Trust, outlined key health indicators that attendees should understand and monitor regularly. 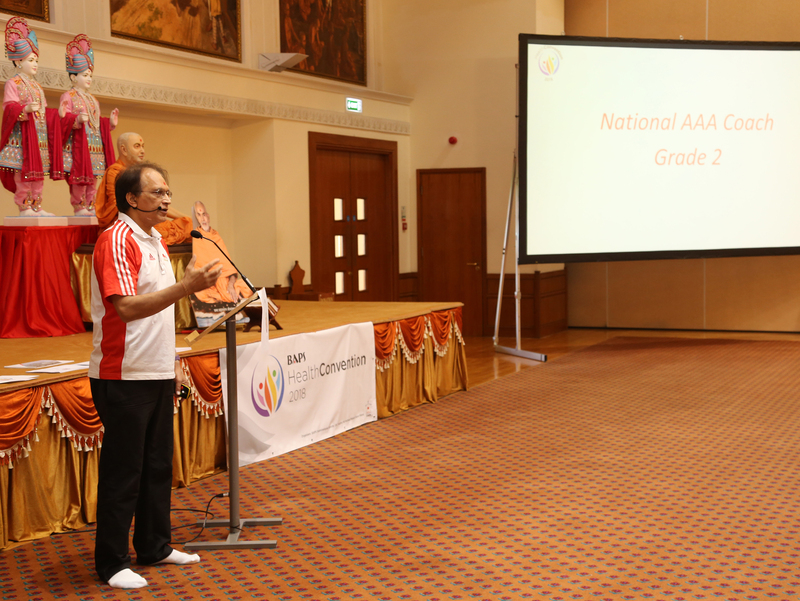 Girish Patel, a lead volunteer and AAA National Coach, was also on hand to provide guidance on preparing for long-term physical exercises, including stretching and body coordination. 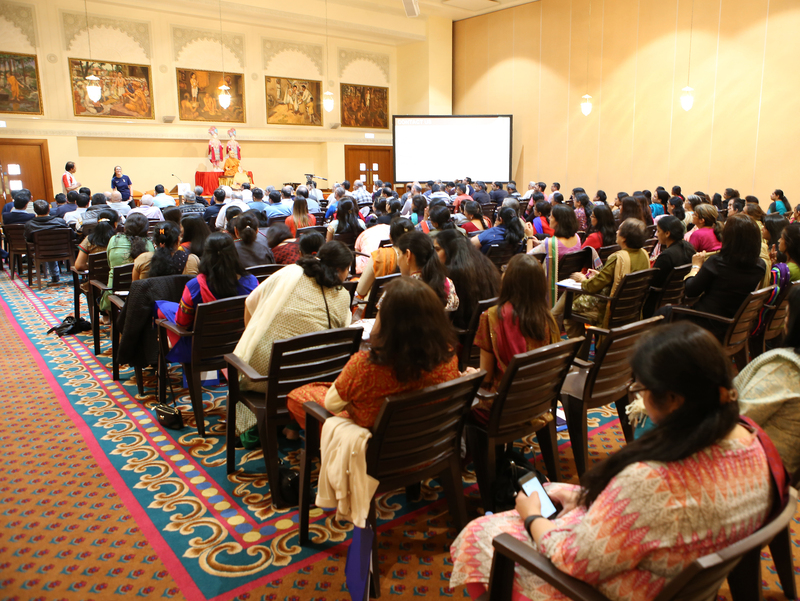 An emphasis on diet was an important component of the seminar. 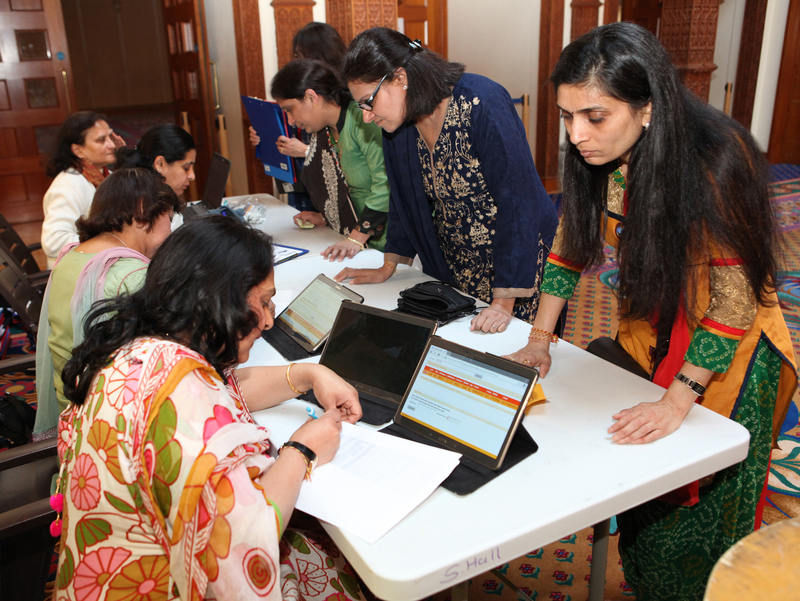 Reshma Patel, a registered dietician, discussed cooking techniques and offered practical tips in relation to the preparation of healthier Gujarati meals. 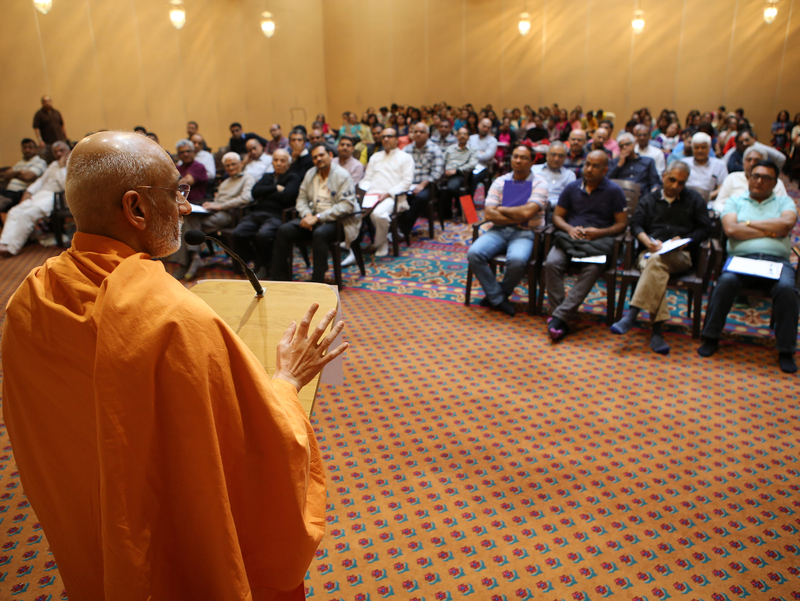 Swamis alluded to the health benefits of yoga and explained how spiritual techniques can further enhance the holistic wellbeing of an individual. 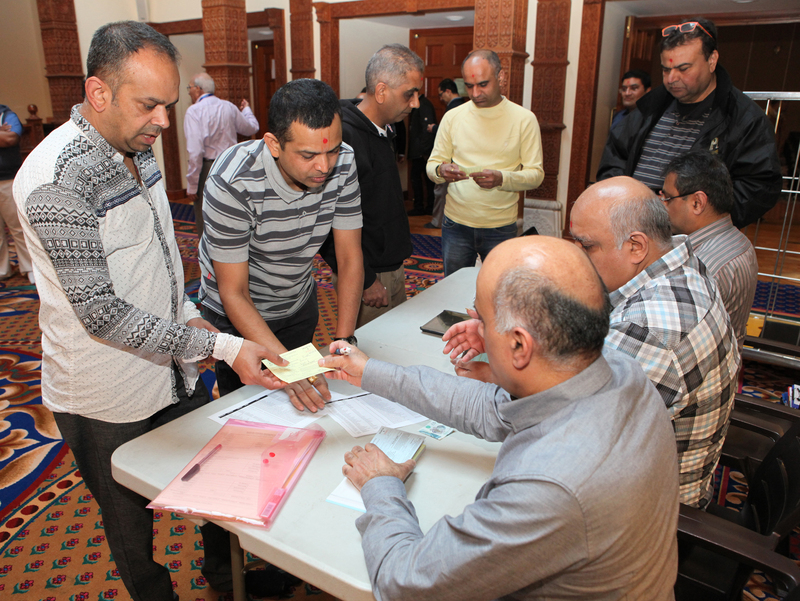 The second phase of the convention is scheduled for July 2018 with an emphasis on physical fitness techniques and exercises. 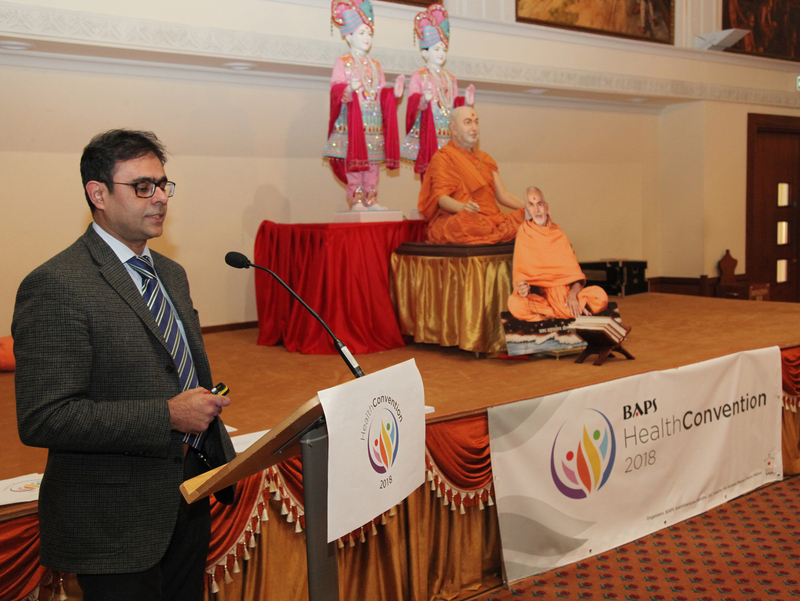 Future health conventions will also be organised for younger and older generations.